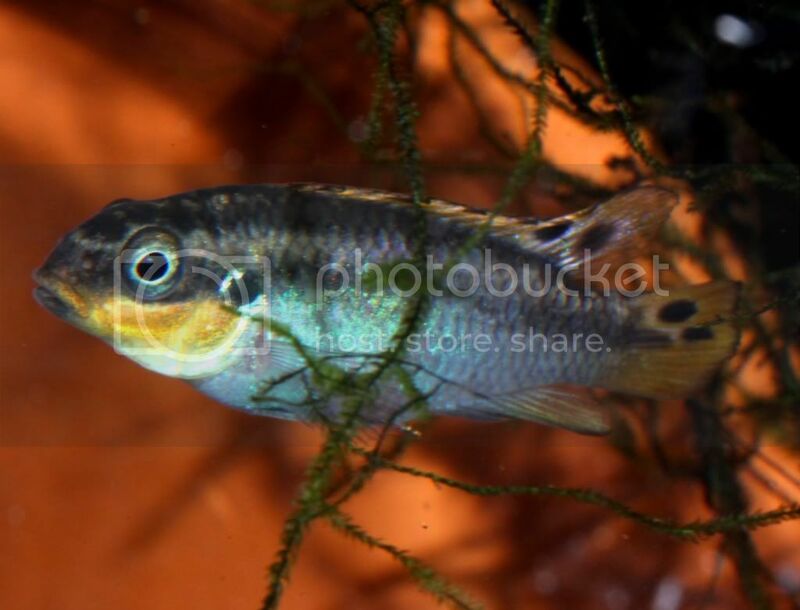 Discussion in 'African Cichlid Identification' started by killiguy, Jul 31, 2011. Unfortunately they will be sold as the above for about $100.00 a pair AARRHH. Yup... lots of genes in that fish. It is not a pure Nigerian form. The ocelli of Nigeriam fish extend to the edge of the fish. Cameroon fish do not, the the lower half of the tail is consistent with Nigerian forms. Wouri (Cameroon)... body color white/tan/grey, upper edge of caudal fin a band of black edged in white or sometimes two or three spots that look like they are trying to be a band. Southern Cameroon (Lobe, Nyete and a couple others)... No ocelli or spots in caudal fin which is edged in red on upper half. 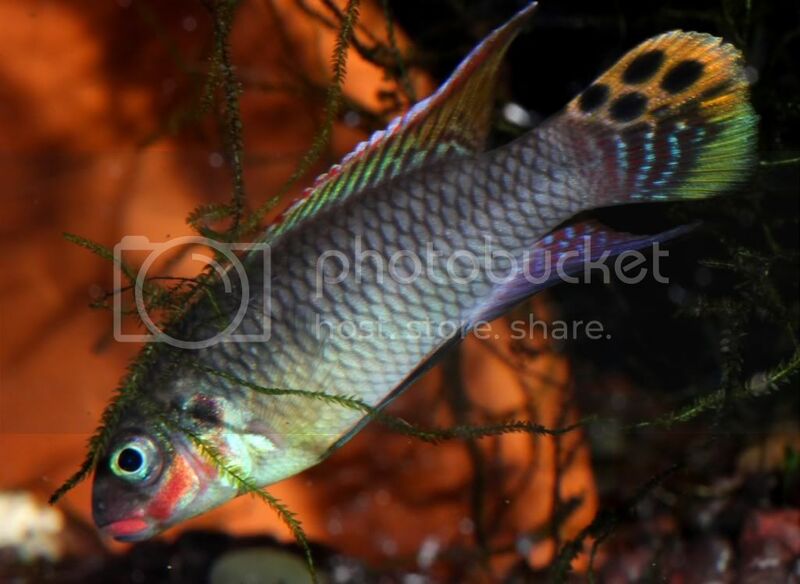 All Cameroon varieties except Wouri have a lot of yellow in the body color and have red markings in their unpaired fins. Very beautiful fish. It is also planning to make. Now contains Pelvicachromis pulcher, play, go to spawn.